Now that I'm on the Fabletics train, I want to make it a point to share my finds every month! Plus, it's a good way to keep me motivated from the workout standpoint when I know I'm accountable to share with you guys. If you missed my original review about Fabletics, you can catch yourself up here. 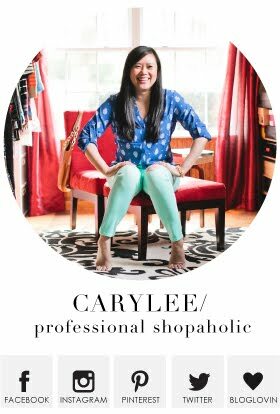 I knew I wanted these leggings the second they started flaunting their March releases. The pattern had me at hello. I got a small and the "short" length in these, and they fit great. They are definitely a tighter fit than last month's bottoms, but they still work fine. I am wearing a small in the top also. I love it. I was afraid it was going to fit a bit oversized, but it's not at all. It's a little form fitting but certainly not fitted, and the way it gathers and knots makes it very movable and not constricting. Plus it's nice and stretchy. I'm pretty particular about my sports bras. My biggest pet peeve is when you're trying to take one off after a workout and it's naturally sweaty, and it is IMPOSSIBLE to get off because it just sticks to you. With this one being so strappy, I was concerned how easy it would be to take on and off, but it doesn't stick to me at all, and I really love it. I would totally get more. I am not big chested at all, but I do feel that it provides me adequate support. I also got a small in the sports bra. 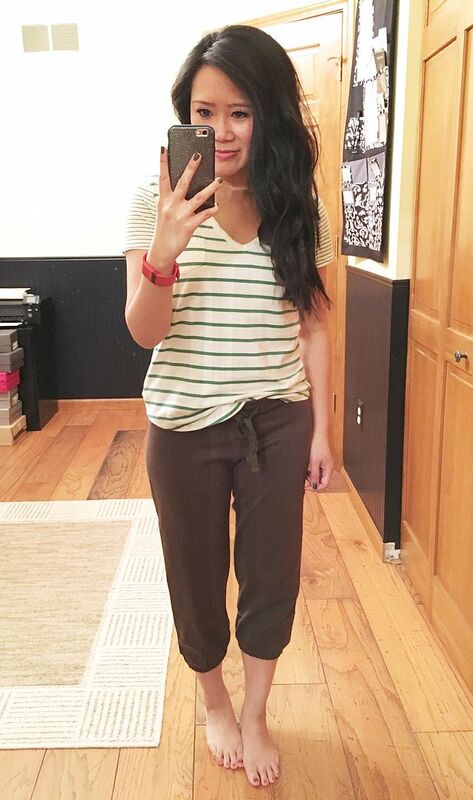 After I had already ordered my outfit, I received an email about their clearance sale, so I snagged these olive sweatpants for just under $15. I'm not sure if I will actually wear them to work out. They're super soft, and I kind of just want to wear them for lounging! 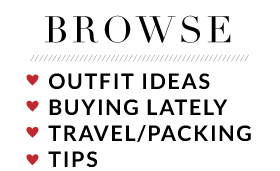 So far, I'm 3 for 3 with my Fabletics orders! If you're interested in signing up - you can use my referral link here! The floral tights are so cute. If I didn't all these workout clothes already I would totally sign up. 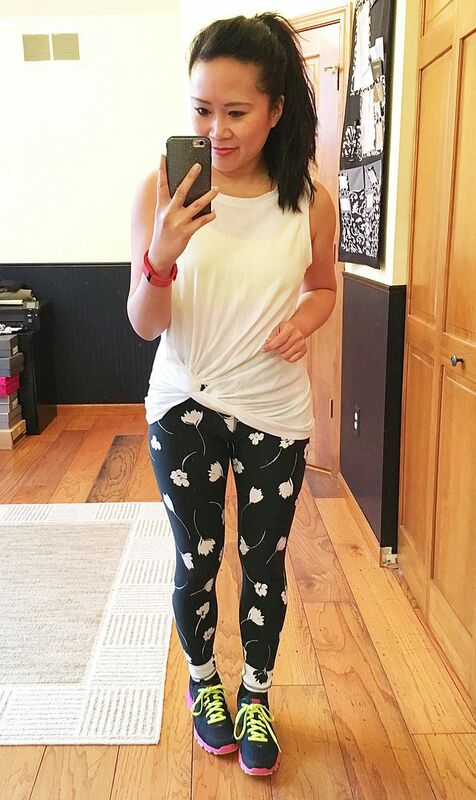 Really love the floral leggings! The knot front of that tank is so cute as are the other pieces! Glad you had another successful month!